I’ve gotten used to flipping my artwork on its’ head, and crossing my fingers that everything sticks accordingly. That’s certainly the case every time I go to Toronto Image Works to get my children’s book spreads photographed. Here you can see the set up: lights, camera, magnets, and me with my x-acto knife and two sided tape, ready and waiting for any fly away pieces or unsightly cast shadows! This past Thursday marked a milestone for me: completing the artwork for “Shaping Up Summer”, the fourth and final book art in the Math in Nature series. A big thanks to TIW technician and talented photographer, Stephen Brookbank, for his skill and patience in photographing a total of 56 spreads and 4 covers with me over the past year and a half! Word on the Street is an annual event that takes place in Toronto’s Queen’s Park. It’s a celebration of literature, art and ideas, represented by Canadian book and magazine publishers of all kinds. Every September I make it a priority to go, with the anticipation of receiving an attractive tote bag with my Walrus subscription renewal! This year’s Word on the Street was a nice change of scenery because I got to experience the event from the other side of the table, as presenter and book signer. 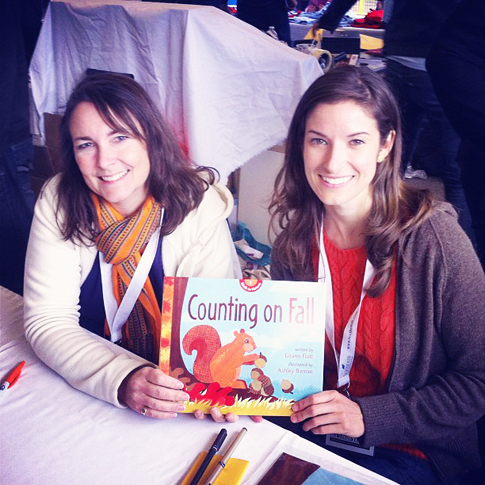 Author Lizann Flatt and I presented Counting on Fall to a bunch of kids and their parents in the Children’s Activity Tent. 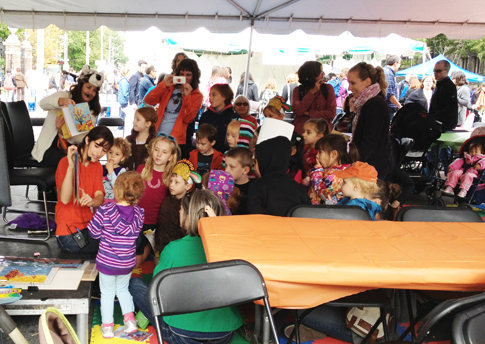 Well equipped with a raccoon hat and squirrel finger puppets, we engaged the kids in a reading of the book, followed by a craft activity. Here’s my lesson plan for the Paper Fall Leaf Activity. I must say, it was pretty surreal finally getting to meet the author of the book series I’ve been working on for more than a year now. Lizann is such a delight to work with, and is especially great with children. I’m really looking forward to our upcoming event at the Toronto Evergreen Brick Works on November 11th. (here’s more info) Much like this event, we’ll be reading, crafting, and signing. Oh how fun! 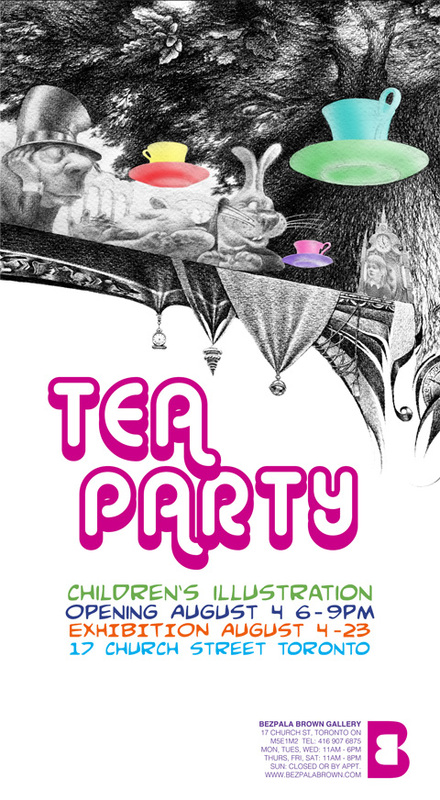 I’m an ever-growing fan of tea and I like parties, so I’m really excited to be a part of the Tea Party show at Bezpala Brown Gallery, opening next Saturday August 4th. August 4 – 23 | opening reception Sat 4 Aug, 6 -9 pm, artists in attendance, Tea Party: Children Illustrations – Oleg Lipchenko, Tatiana Ianovskaia, and Ashley Barron. For the first time, Lipchenko’s original drawings for his award-winning “Alice in Wonderland” illustrations will be publicly shown throughout this exhibition. Ianovskaia presents a selection of her illustration work that she created for the last ten years. 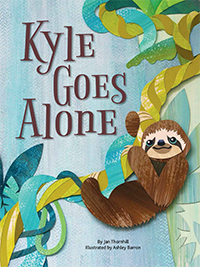 An emerging talent and a graduate of OCAD, Barron has created cut-paper collages, which became a part of a series of four children’s books published by Owlkids. This exhibition will also feature artwork by illustration artists from Saint Petersburg, Russia. I’ll be showing 3 original paper cut illustrations from the Math in Nature series I’m currently working on with Owlkids: two spreads from “Counting on Fall” (available this fall!) 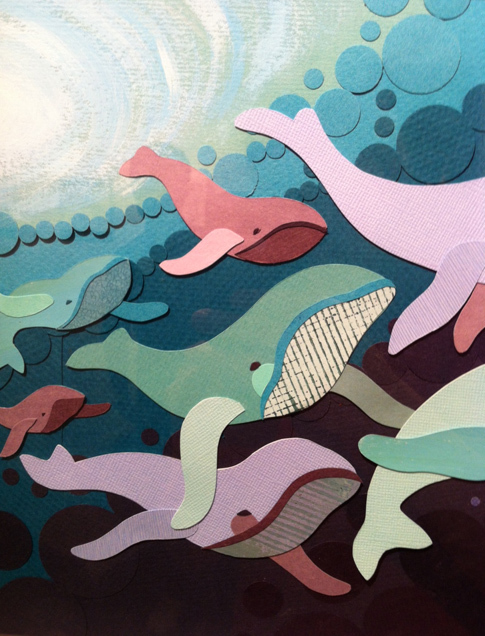 and one from “Sorting through Spring” (available spring 2013). Here’s a sneak peak of the art. Hope to see you there! Here are some sights from my recent travels through California and Nevada. Two friends and I drove the scenic route from San Francisco to Las Vegas, and along the way I grew a deep appreciation for the desert. It seemed that every wind in the road lead us to yet another breathtaking vista, rich in colour and life. Food and art are a match made in heaven when it comes to La Carnita. This pop-up gourmet taco stand has earned quite the following, as it successfully combines mouth watering eats with a passion for art and design. How it works? Every session a new artist is asked to create their own rendition of La Carnita’s mascot “Meat Head”. 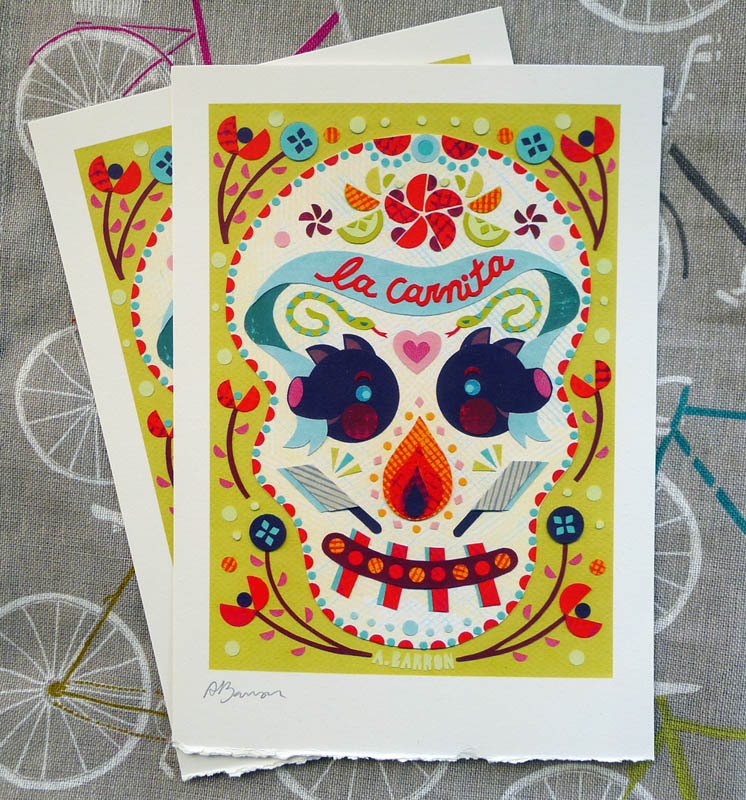 Limited edition prints of the artwork are then sold as a package deal that includes 3 delicious gourmet tacos. I feel lucky to be a part of the art side of things at tonight’s La Carnita’s session, where 200 of my Meat Head prints will be on the menu. As for tonight’s taco flavours…that’s still a secret. I guess there’s only one way to find out! Thanks to Andrew Richmond, Steve Miller, Rob Pilichowski and the rest of the crew at One Method for warmly welcoming me into their space yesterday to sign prints.